In order to settle the Joe Staab Estate, his high quality and low use machinery, equipment, tools and misc. items will be offered at public auction. Preview Date & Times: OPEN HOUSE: Sunday, Feb. 3 from 11:00 AM - 2:00 PM or by appointment. Checkout Date & Times: PICK-UP DATE/LOCATIONS - Immediately following auction, or call Jim Klein at 712-540-1206 to set up an appointment. Open House Date: Sunday, Feb. 3 from 11:00 AM - 2:00 PM or by appointment. Pickup: Immediately following auction, or call Jim Klein at 712-540-1206 to set up an appointment. 1992 Remington Calendar Replica of 1908 Remington 12 Month Advertising Calendar. Waterfowl scene. Copyright 1908 by REMINGTON ARMS CO. Remington Arms Company, Agency 313 Broadway, New York. Remington Solid Breech Hammerless Guns. Scene displays The Remington Repeating Shotgun (pump action) and The Remington Autoloading Shotgun (reduced coil). Excellent to mint condition!! Yetter 41' Rotary Hoe, 3 Point Mounted, Hydraulic Flat fold, Frame Guage Wheels, Storage Stands SN 03727 VERY LOW USE!!!! 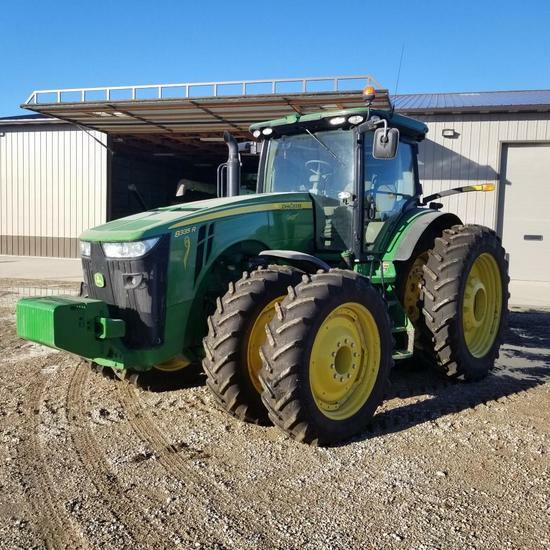 2015 Artex SB450 Box Manure Spreader, Tandem Axle, Twin Vertical Beater, Hydraulic Endgate, Poly Floor, 550/45-22.5 Lug Flotation Tires, 1000 Pto, Dual Box Chains, Front Scatter Shield SN A48503-15-27932 LOW USE!!! !